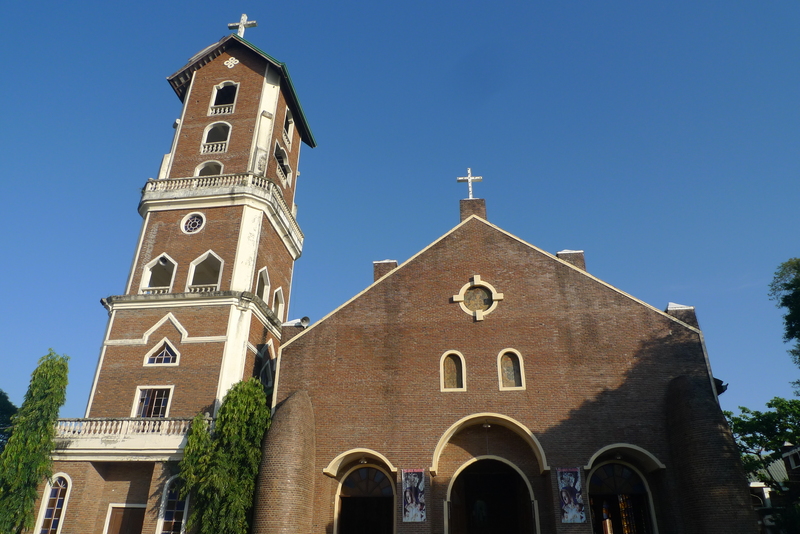 One of Cagayan Province‘s biggest draws is the Our Lady of Piat Basilica, which is located in Piat and houses the image of the same name. Our Lady of Piat was brought to Cagayan from Macau, and is said to be miraculous, performing many miracles. The basilica holds a grand altar, and receives so many visitors that they had to build a separate place for devotees to get their items blessed. 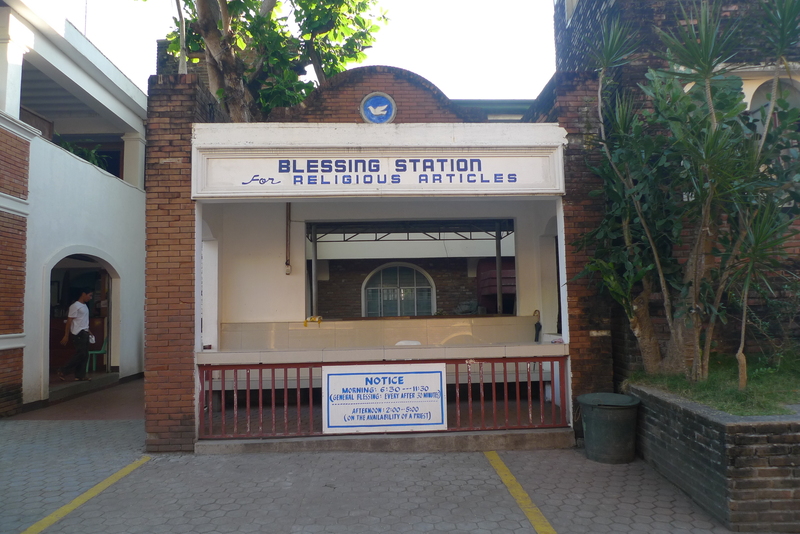 Devotees can get their items blessed here during specific times and days of the week. Pilgrims who want to touch the statue of Our Lady of Piat can do so by going round back where a small door gives them access to the statue’s base. Devotees line up to touch a part of the miraculous statue. The basilica is more than a place of worship. It is also a gathering place for the community, and is an interesting place to people-watch. As with any high-profile pilgrimage center, its grounds abound with vendors selling candles, religious items, toys, and local snacks. 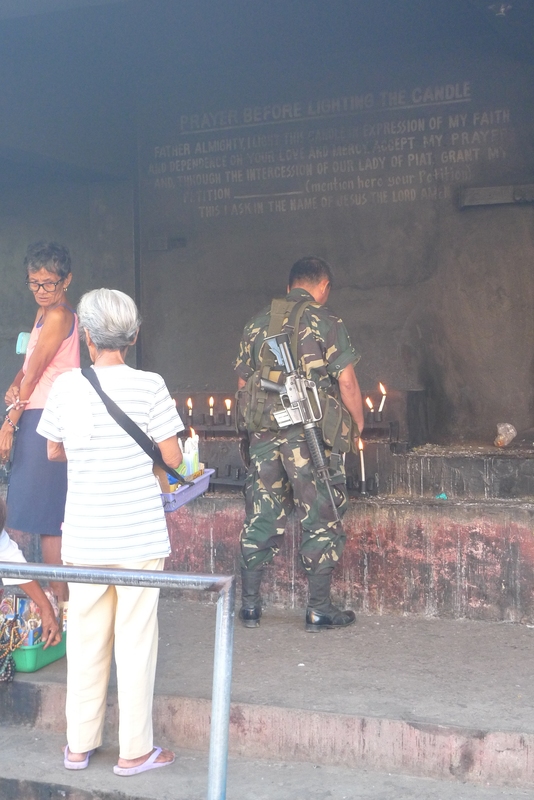 A soldier offers a candle in prayer. The police doing their morning exercises on basilica grounds. 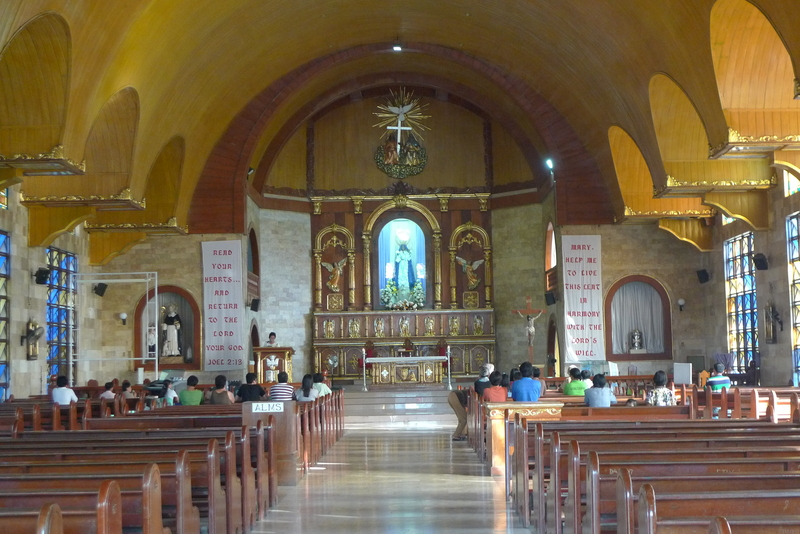 You don’t have to be a religious devotee to enjoy a visit to Our Lady of Piat. It’s a good place to visit if you’re after a little slice of Cagayan life.